i’ve tried to photograph has got to be the tortoise. well the shell casts a shadow. 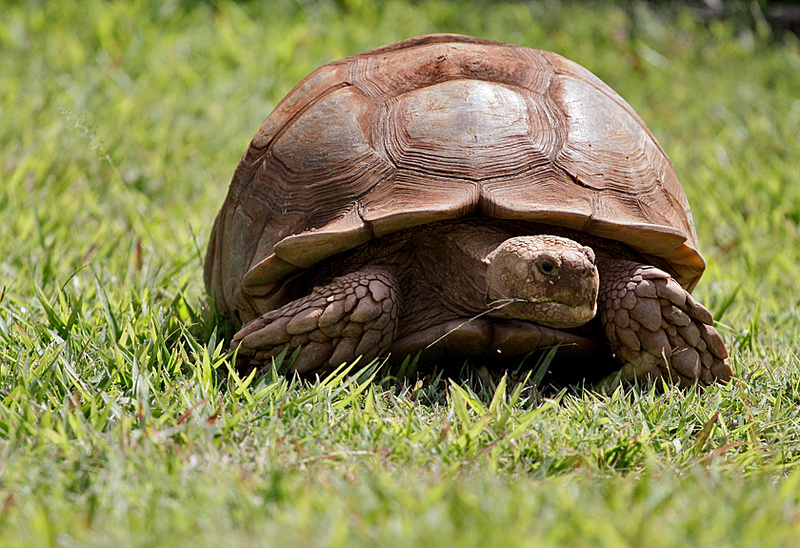 properly exposing the part of the tortoise under the shell has to be carefully balanced with not blowing out the detail on the top of the shell, which is reflecting sunlight. and the grass, which is a little blown out in this shot. this took like 10 bracketed photos to get right. plus waiting for him to put his head up with that blade of grass stuck in his mouth like doop-dee-doooo. 26 Feb This entry was written by aaron, posted on February 26, 2009 at 12:40 pm, filed under animals and tagged calcutta, honolulu zoo, tortoise. Bookmark the permalink. Follow any comments here with the RSS feed for this post. Post a comment or leave a trackback: Trackback URL. …adapt to any circumstance you throw in its path.